The purpose is to be an association of scholars, seminary and college students, pastors, ministry leaders, and interested laypersons dedicated to cooperation in the spreading of the Gospel of Jesus Christ and the equipping of the saints for this task. We are committed to bridging the gap between Christian Academia and the Church, This is accomplished by combining the finest of Christian scholarship with the practical application and pressing needs of God’s people. Section 1: Membership is to be open to open to scholars, seminary and college students, pastors, ministry leaders, and interested laypersons dedicated to cooperation in the spreading of the Gospel of Jesus Christ and the equipping of the saints for this task. Section 2: Every member must affirm the Doctrinal Statement and this Constitution and Bylaws upon registration and again annually upon membership renewal. Section 3: Members of the society are to promote the well-being and viability of the society in general, as well as promote a balance of membership among scholars, ministry leaders, students, and laypersons. Section 4: Members may challenge other members’ teachings and writings as being incompatible with the Doctrinal Statement of the Ecclesia Scholars Society. All complaints must be written and submitted to the Board of Directors in writing with sufficient evidence. Upon a majority vote, at the next business meeting, the Board of Directors will bring the issue to the elected Leadership Team for review. The accuser and the accused will then be brought before the Board of Directors and elected Leadership Team to have a hearing where the accuser will present the case against the accused, and the accused will be able to present a defense. Then, at the next business meeting, then the case will be brought before the Society by the Board of Directors and the elected Leadership Team. A two-thirds majority vote by present members shall be necessary for any member’s dismissal from the Ecclesia Scholars Society. Section 1: The Board of Directors will consist of five members. These include the institutional founders and those voted unanimously by the Board of Directors to fill any vacancies. All of which are lifetime appointments unless resignation or dismissal from Society for violations of the Doctrinal Statement. Section 2: The Board of Directors will employ a regular member to the Selection Committee, the Nominating Committee, the Membership Committee, and one member to function as Chief Operations Officer, and one member as the Chief Financial Officer. Section 3: The five officers shall consist of a President, an Academic Vice President, a Student Vice President, a Ministry Vice President, and Layperson Vice President. Each officer will serve two-year terms, and be elected at national meetings or special occasions determined by the Board of Directors. Section 4: The five officers shall constitute the elected Leadership Team. The Leadership team will report to the Board of Directors. Section 5: By majority vote, the Board of Directors and the Leadership Team shall appoint a Chairperson for the Selection Committee, a Chairperson for the Nominating Committee, and a Chair Person for the Membership Committee from the society members at large. Section 6: Standing Committees: Selection Committee: The Selection Committee shall consist of an appointed Chairperson of the committee and a Board of Directors member; as well as the following committee members who will be elected by Ecclesia Scholars Society members at business meetings and shall serve two-year terms: an Academic Member, a Student Member, a Ministry Member, and a Layperson Member. The Selection Committee shall be responsible for submissions to the journal and selections of articles for publication and/or presentation at the Ecclesia Scholars Society national meetings. Nominating Committee: The Nominating Committee shall consist of an appointed Chairperson of the committee and a Board of Directors member; as well as the following committee members who will be elected by Ecclesia Scholars Society members at business meetings and shall serve two-year terms: an Academic Member, a Student Member, a Ministry Member, and a Layperson Member. The Nominating Committee shall be responsible for submissions of member candidates nominated for the Ecclesia Scholars Society elected offices, to be voted on at the appropriate meetings when elections are held. Membership Committee: The Membership Committee shall be responsible for maintaining accurate membership relations, and promote the vision, integrity, viability, health, and growth of the Ecclesia Society. The Membership shall consist of an appointed Chairperson of the committee and a Board of Directors member; as well as the following committee members who will be elected by Ecclesia Scholars Society members at business meetings and shall serve two-year terms: an Academic Member, a Student Member, a Ministry Member, and a Layperson Member. Section 1: The Ecclesia Scholars Society shall hold a national meeting at the time and place determined by the Board of Directors and the Leadership Team. Section 2: The Selection Committee will be responsible for arranging plenary speakers, session speakers, and any special sessions for the national meetings. Section 3: Other meetings, either regional or local, may be held with approval of the Board of Directors and the Leadership Team in conjunction with the Selection Committee. Section 1: Proposed amendments to this Constitution and Bylaws must be submitted in writing to the Board of Directors and the Leadership Team to be considered. Upon two-thirds majority vote, the proposed amendment will be brought before the society at the next national meeting for consideration. A two-thirds majority vote by the members of the society is required for adoption of the proposed amendment. Section 2: Proposed amendments to Articles I, II, III, and Section 2 of Article VII will require a four-fifths majority vote. Section 3: Sections 1, 2, and 5 of Article V shall not be amended except by four-fifths majority vote by the Board of Directors. Applications for first-time membership shall be submitted to the Board of Directors. By two-thirds vote, the candidate shall be admitted to the Ecclesia Scholars Society. Membership dues of $25.00 will be paid annually, 12 months from the date of admittance. Membership will be terminated upon failure to pay dues and reaffirm the Doctrinal Statement and the Constitution and Bylaws. Reapplication after termination must be submitted to the Board of Directors to be readmitted by two-thirds vote. Members shall receive partial registration at annual meetings, whether attending in person or viewing the live stream online. 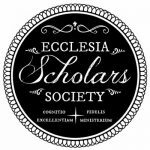 Members shall receive free electronic copies of the biannual Journal of the Ecclesia Scholars Society. Members shall receive paper submission privileges for publication and selection for presentation at meetings. Members shall receive full voting privileges. Members shall receive listing in our Resource Directory for websites, books, articles, blogs, churches, conferences, events, and other information as desired. Members unable to attend national meetings will be given online access to view streaming video of the national meeting, though not all sessions may be available. Members wishing to change their membership distinction (Academic, Student, Ministry, Layperson) must submit to the Membership Committee for approval, which will be officially confirmed at the following national meeting. The Nominating Committee shall present the proposed candidates for elected office at the national meetings when applicable. The Board of Directors shall fill all vacancies until the next election at the national meeting. All members not physically present at national meetings when elections are held, may vote online using their registered membership e-mail address during the time the elections are held.